The 28th Annual Meeting of the Japanese Society of Oral Pathology will be held in Kawagoe on August 23-25, 2017. It is a great honor for us, the members of the Division of Pathology, Department of Diagnostic & Therapeutic Sciences, Meikai University School of Dentistry to host this meeting. The theme of the meeting is “From the Past to the Future”, which we hope will present opportunities for interesting new results and case studies. The revised edition of the WHO Classification of Head and Neck Tumours will be published early in 2017. I have invited Dr. Hiroko Ohgaki (Head, Section of Molecular Pathology, Series Editor, 4th edition of the WHO Classification of Tumours Series, International Agency for Research on Cancer: IARC) as a special guest speaker. 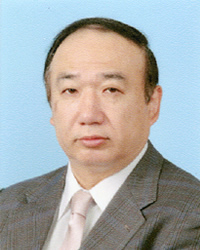 In addition, Prof. Takashi Takata (Department of Oral and Maxillofacial Pathology, Institute of Biomedical and Health Sciences, Hiroshima University), who is responsible for Chapter 8 (Odontogenic and Maxillofacial Bone Tumours), will deliver an educational lecture. During the lunch break, Dr. Fumio Ide (Meikai University School of Dentistry) will also give a lecture on “Historical aspects of odontogenic tumours”. We have also asked Dr. Mari Shimura (National Center for Global Health and Medicine) to deliver a special lecture on “Visualization of Intracellular Elements by Scanning X-ray Fluorescence Microscopy- Application for Cell Biology and Medicine”. Moreover, we will hold a symposium on “Lymphocytes and related diseases” featuring lectures by Dr. Kazuyo Moro (RIKEN Center for Integrative Medical Sciences) and Prof. Masaru Kojima (Dokkyo Medical University). The last lecture on August 25th, “Relationship between Periodontal and Systemic Diseases”, which is open to dental personnel, will be delivered by Prof. Kuniyasu Ochiai (Nihon University School of Dentistry). Kawagoe (also known as koedo “little Edo”) is a historical town famous for its toki-no-kane (bell tower) and kura-no-machi (rows of old storehouses). It also has many temples, shrines and even a castle, creating a historical atmosphere of ancient Edo (the former name for Tokyo). Kawagoe can be reached by a single train line from Yokohama, Shibuya or Shinjuku, and attracts more than 6 million tourists per year. Local foods are delicious and well regarded. We are looking forward to seeing you all in Kawagoe.